A Tucson Police officer and his K9 left a positive impact on students in the Marana Unified School District. 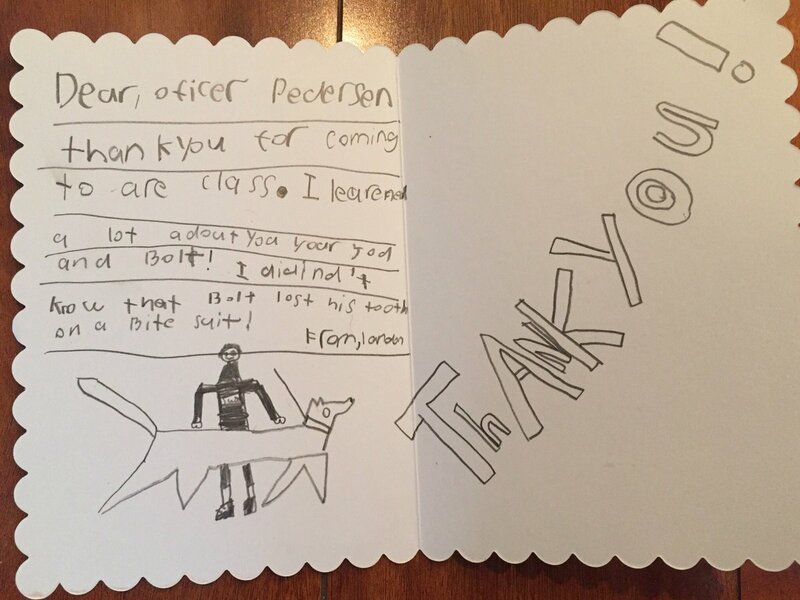 Officer Pederson and his K9 Bolt went to career day at Coyote Trail Elementary School, and students showed their appreciation by sending thank you cards. One says, "Dear Officer Pederson, Thank you for coming to our class. I learned a lot about you, your job, and bolt! I didn't know that bolt lost his tooth on a bite suit. From, London."